Side-scrolling MMORPG MapleStory is officially sponsoring the Kpop group GOT7’s World Tour, “Eyes on You” in Los Angeles, Houston and New York. 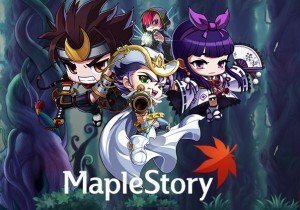 MapleStory is also giving free tickets to select players. For each of the three U.S. shows, ten lucky fans will receive P1 tickets (249 dollar value) and an invitation to attend a HiTouch event where they will high five with GOT7. Forty lucky winners in each city will also receive P5 tickets (59 dollar value) to see the show for free. o get a chance to win a free ticket to one of GOT7’s US concerts, players need to start a new character in MapleStory after 11:00 AM (PDT) on May 18, 2018 and level up. Players will also have to complete a registration form at the link below by 11:59 PM (PDT) on June 10, 2018. To qualify for a P5 ticket, players much reach level 33 or above which typically takes a few hours for beginninrs. Players who reach level 77 or above will have a chance to win a P1 ticket and attend the HiTouch event. Winners will be notified by email on June 14, 2018.